The two books have much in common: both published by Text Publishing, generous use of black and white photographs, no footnotes, a diverse bibliography and a rather chatty tone that ties together many small details into a clearly identified theme. It is popular history, aimed largely at a local audience. The research for this book was funded through a Redmond Barry Fellowship that encourages its recipients to use the collections of the State Library of Victoria and the University of Melbourne (institutions that both have links to Redmond Barry). She has certainly mined these collections well, and the book is a mass of small details stitched together into a broader fabric. The book opens with a dictionary definition of ‘capital’ which includes its political, economic and evaluative dimensions- capital city; capital wealth, and excellence. We could also include human capital here and this, in effect, sums up the spirit of the book. Otto takes as her focus the years 1901-1927, when the new Federal Parliament sat in Melbourne prior to shifting to the newly-constructed Canberra as national capital. It takes a basically chronological approach, starting from the Federation Celebrations in 1901 and moving in two or three year steps through to 1927. Superimposed onto this chronological skeleton is a theme for each time slice: celebrations 1901-3; amusements 1904- 1907, social laboratory 1908-10 etc. It’s worth looking at the table of contents here. This double-themed approach groans a bit under its own weight here because concepts like “amusements” or “social laboratory” or “style” were not restricted solely to the three-year period she has pegged them to alone. One of the emphases in this book is on the interconnectedness of people within Melbourne at this time and the author can barely suppress her glee at finding connections and coincidences which she notes in quirky little footnotes. Although it was obviously a pleasurable hunt for her, it is no real surprise to me that if you choose to focus on an elite in a community then almost by definition there will be connections between them. Her linchpin characters are fairly well-mined biographical subjects, although Web Gilbert and Annie Bon, a patron of the Coranderrk Aboriginal settlement in Healesville, less so. She did attempt to draw in some less noted personalities- Albert Mullett, an Aboriginal man living on Coranderrk, Harold Clapp the Commissioner of Railways- but largely the narrative draws on a strong “aha!” factor amongst a largely Melbourne readership which would recognize familiar names and buildings even today. The book is generously sprinkled with black and white photographs and was shortlisted by the Galley Club of Australia under the ‘Webfed- Mono/duotonebook/4c, limp bound, no price limit’ category (who would have known that there are so many categories of books?). Among the images in the book there is a double-page reproduction of both the Tom Roberts and the Charles Nuttall depictions of the opening of Parliament which she discusses exhaustively in the first chapter, but I found myself craving an identification key to the people she describes. Otherwise the photographs are well chosen, well placed and fascinating. The book, both in narrative voice and conceptualization, is similar to that adopted by Robyn Annear in her books Bearbrass and A City Lost and Found and I am sure that it would attract a similar readership. Otto provides her sources at the end of the book, and they are exhaustive and largely of a biographical or local history bent. I mourned the absence of footnotes- there were several times when I wondered where she’d gleaned her information- but footnotes are an acquired taste I suspect and I’m sure that many other readers would not notice their absence at all. 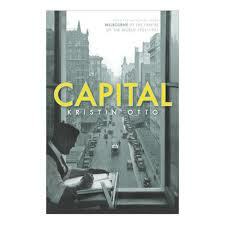 For anyone who knows Melbourne, ‘Capital’ will be a fascinating conversation with an old friend. For others it will be a compelling introduction to a new one. I suspect that the former will outnumber the latter. 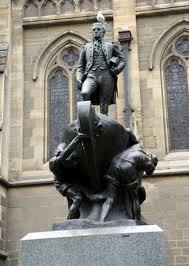 This entry was posted in Australian history, Australian Women's Writing, Book reviews, Melbourne history. Bookmark the permalink. Once again, you’ve already read the book I’m reading (Capital), and given an insightful evaluation. Thanks! Lack of references is also bothering me.